More than 30 years ago, Frank White coined the term "overview effect", to describe the cognitive shift in awareness that results from the experience of viewing Earth from orbit or the moon. He found, that with great consistency, this experience profoundly affects space travelers' worldviews - their perceptions of themselves and our planet and our understanding of the future. White found that astronauts know from direct experience what the rest of us know only intellectually: We live on a planet that is like a natural spaceship moving through the universe at a high rate of speed. We are, in fact, the crew of "Spaceship Earth", as Buckminster Fuller described our world. 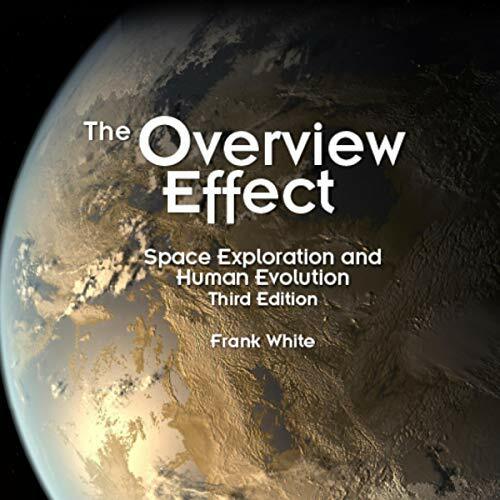 In The Overview Effect, Third Edition, Frank White expands on his original concept, which has now gained worldwide recognition and exposure. Using interviews with and writings by numerous astronauts and cosmonauts, he describes space exploration and settlement as necessary next steps in the evolution of human civilization and consciousness. The third edition features new interviews with the following astronauts, space advocates, and New Space entrepreneurs: Helen P. Sharman, Michael Lopez-Alegria, Sandra H. Magnus, John B. Herrington, Ron Garan, Akihiko Hoshide, Nicole Stott, Sir Richard Branson, George Whitesides, and Loretta Hidalgo Whitesides. This book had a profound impact on the direction of my career in the space industry. With all of the astronaut interviews and Frank's thoughtful analysis of the meaning of it all, it helped me more clearly understand why we explore space in the first place. Skeptics, the curious, and the learned would all benefit by reading this book and it's look into the why and the future of space exploration.